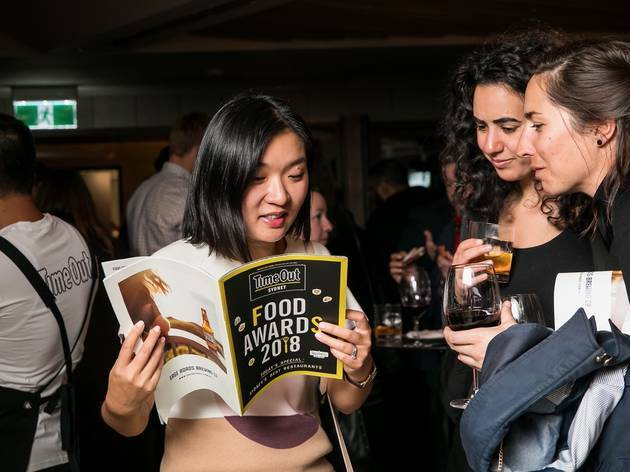 It’s the most wonderful time of the year… Food Awards season, when we get to crown the best of the best in this city of incredible dining powered by some of the best cheffing talent in the known ’verse. 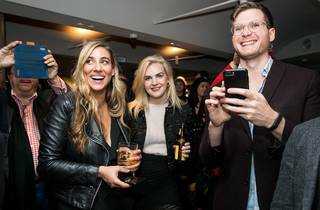 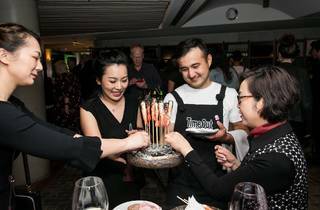 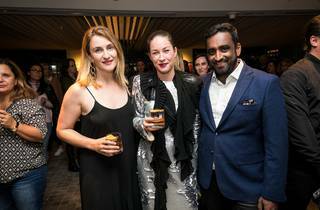 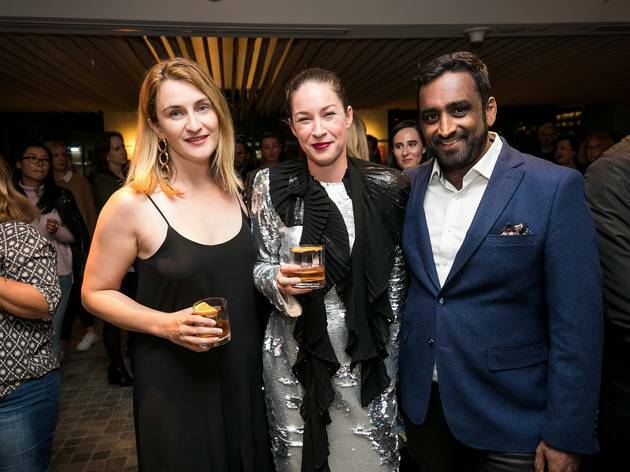 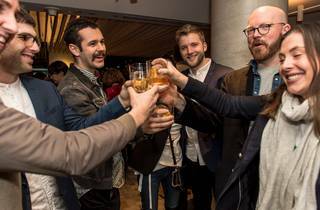 Three hundred Sydneysiders packed out 12 Micron for a celebration of Sydney’s restaurants, from the cheapest of cheap eats to the fanciest of fine dining. 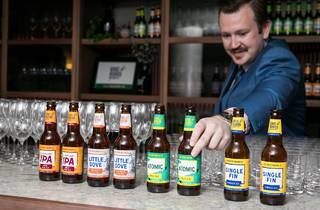 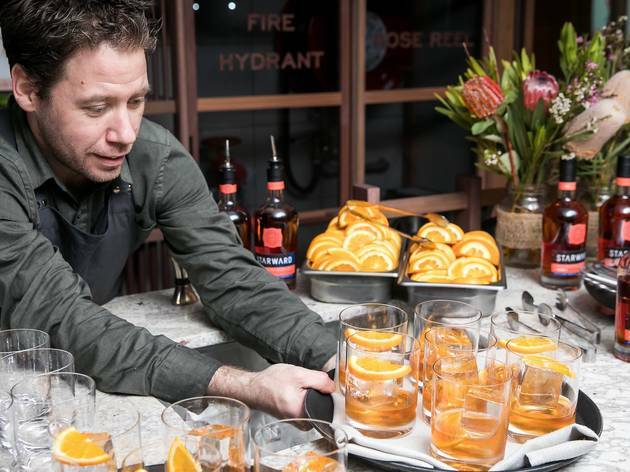 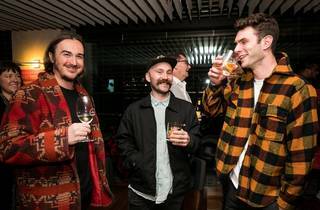 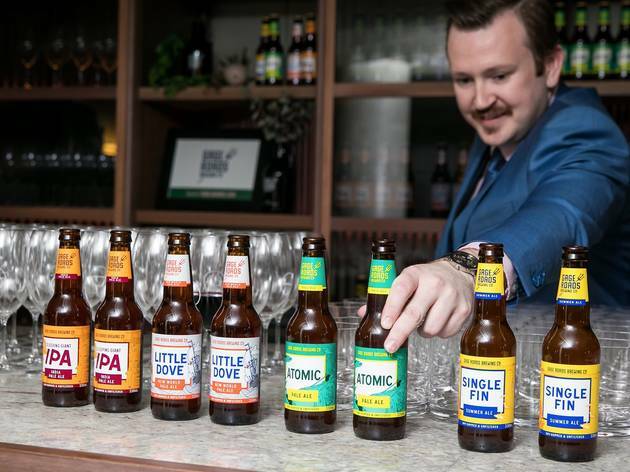 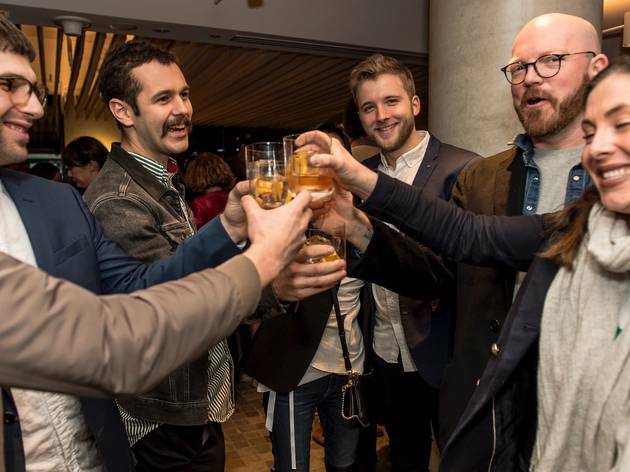 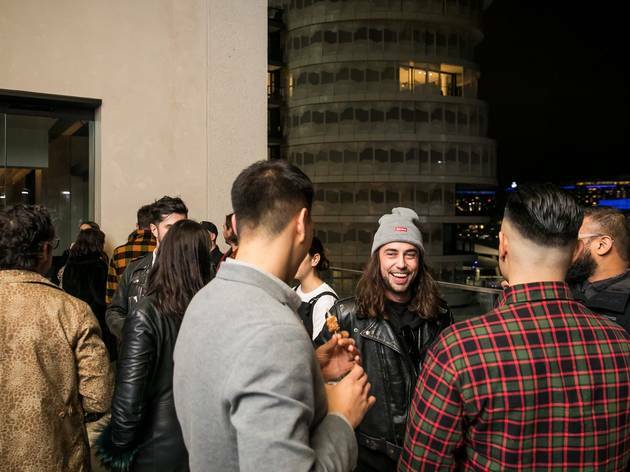 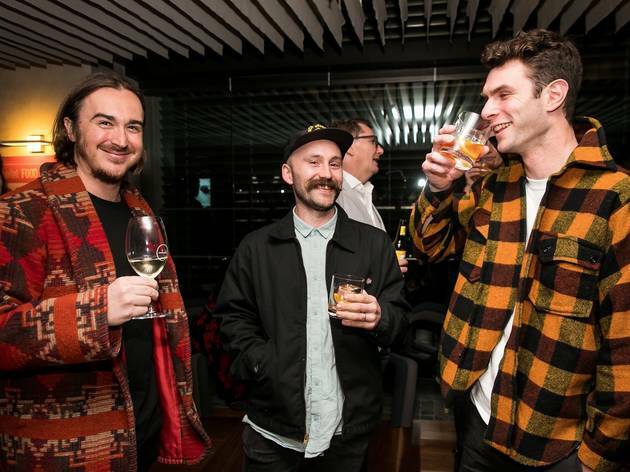 The night began with Old Fashioneds from Starward, wines from Jacob’s Creek Barossa Signature range and frosty brews from Gage Roads Brewing Co, including the Single Fin Summer Ale, Atomic Pale Ale, Sleeping Giant IPA and Little Dove New World Pale Ale. 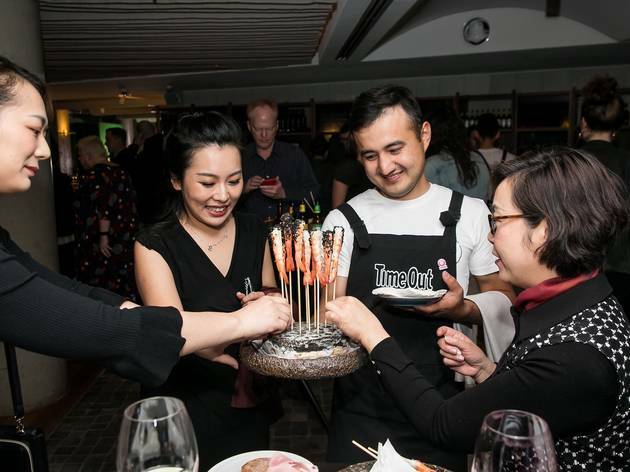 On the food front, 12 Micron was dishing up beetroot cigars, king prawns with lime and sesame, Starward whisky cured salmon, flank steak, lamb ribs, potatoes with sour cream and chives, and bite-sized ice creams. 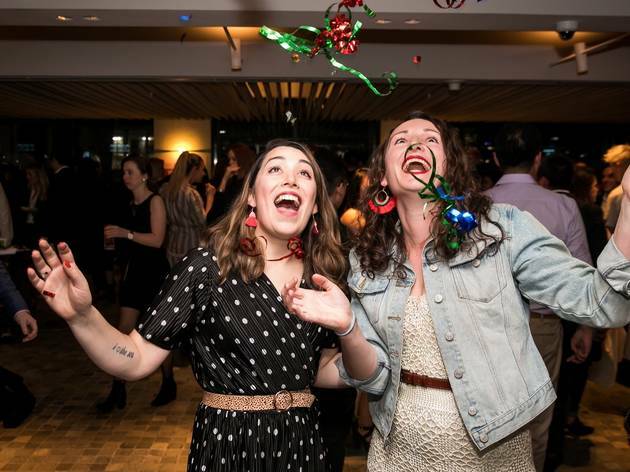 In between there was a huge cheese and charcuterie station for maximum snacktivation. 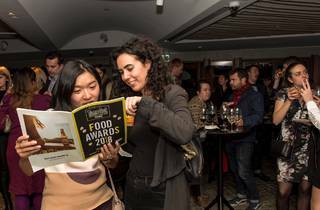 The room was packed with head chefs, hot talent, industry legends, and a whole lot of people who truly love dining out in Sydney. 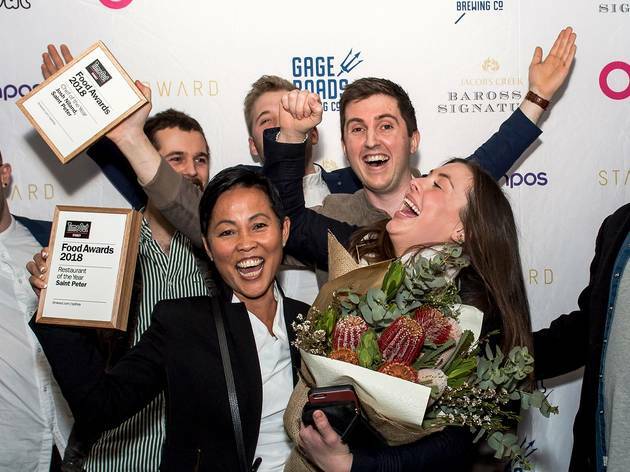 Comedian Gen Fricker was the captain of this party boat, and the one everyone was looking to to reveal who would take home the award for Best Casual Dining, Chef of the Year, and Restaurant of the Year. 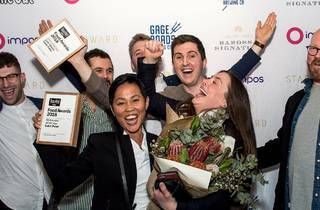 They were curious as to the winners of the Cheap Eat, Fine Dining and Café category. 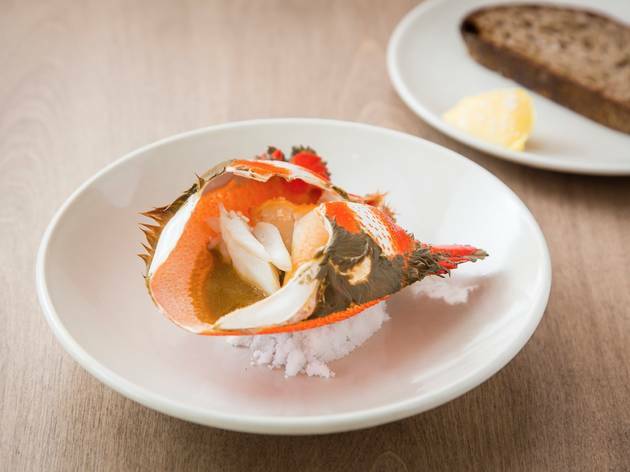 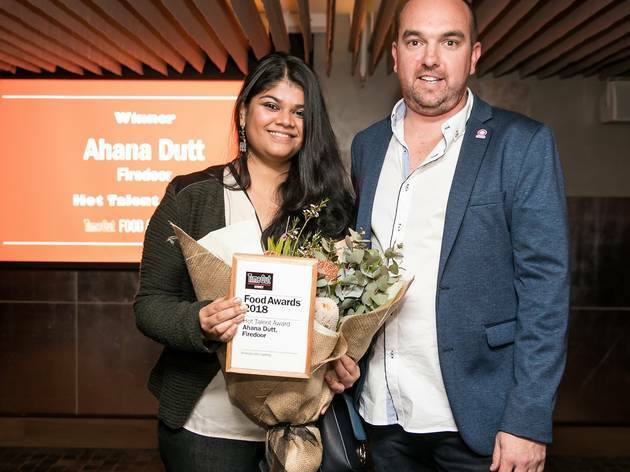 And thanks to a hospitality scene that has the kind of momentum you expect from a bullet train, there was an award for the Best New Restaurant to have opened their doors in the last 12 months. 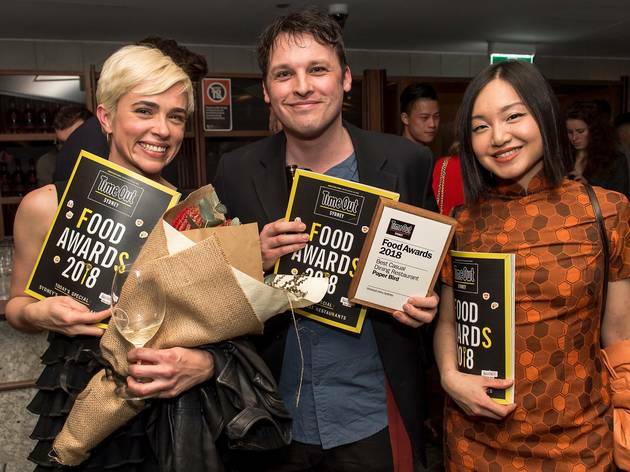 Plus there is always the will of the public, who this year voted for all the heady, spicy glory coming out of the Ho Jiak kitchens in Haymarket. 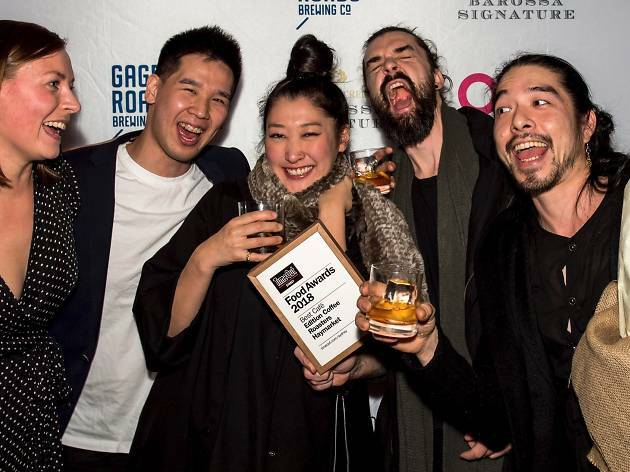 to take home the coveted People’s Choice Award. 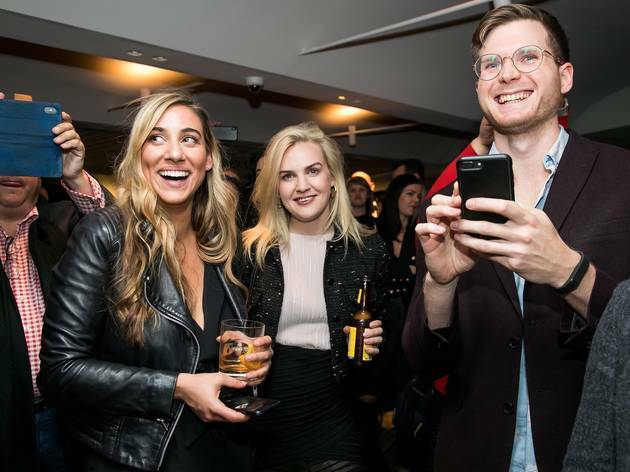 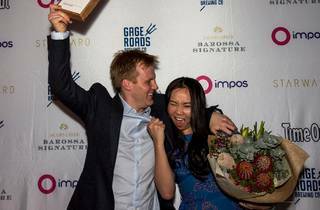 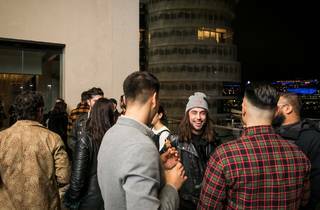 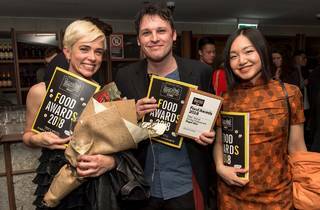 The crowd went double wild for chef Josh Niland who took home Chef of the Year and whose restaurant, Saint Peter was crowned Time Out’s Restaurant of the Year for 2018. 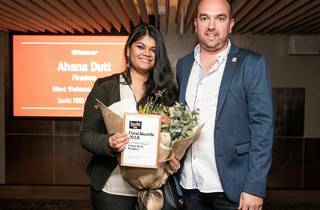 And as for who to watch next, the Hot Talent winner was Firedoor's Ahana Dutt. 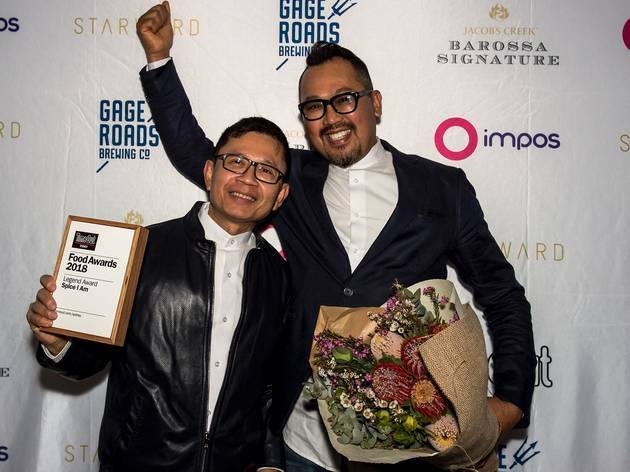 Edition Coffee Roasters' second outing in Chinatown took out the Best Café award, and because Rosebery just keeps getting better and tastier, Banh Xeo Bar won the gong for Best Cheap Eat. 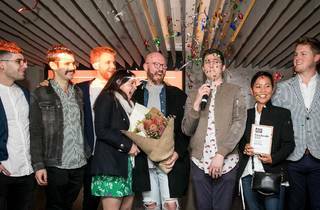 Best New Restaurant went to the incredibly all-day dining venture from Clayton Wells, A1 Canteen. 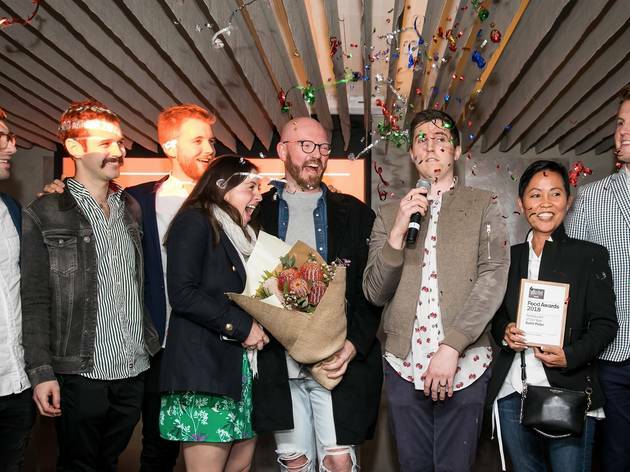 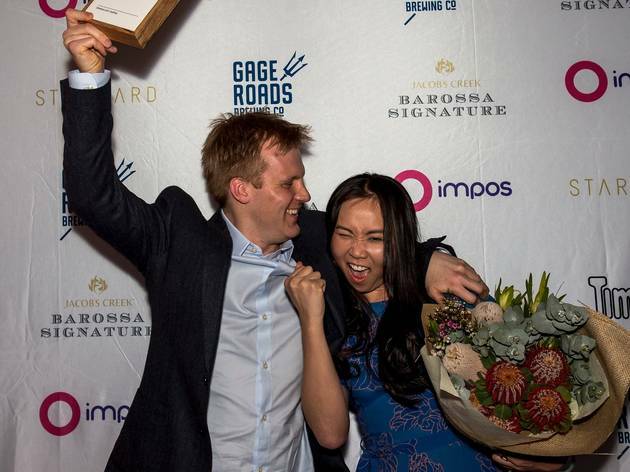 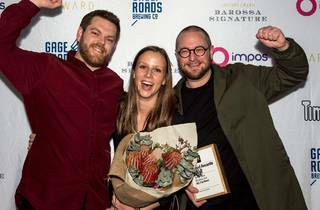 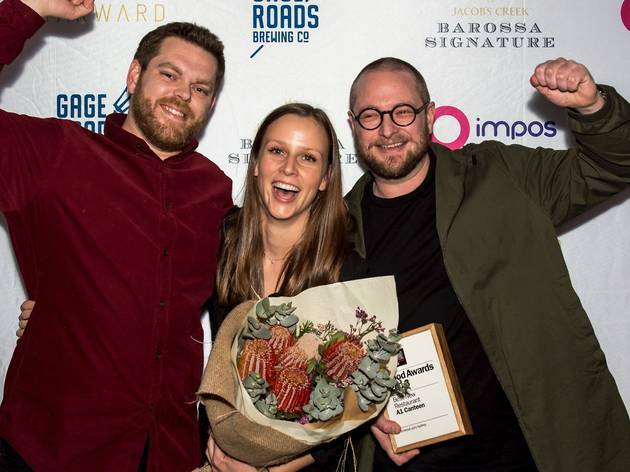 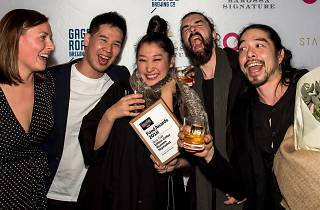 Best Casual Diner went to the mod-Korean brilliance at Paper Bird, and the Best Degustation was awarded to Yellow, who are making vegetables the star of the show. 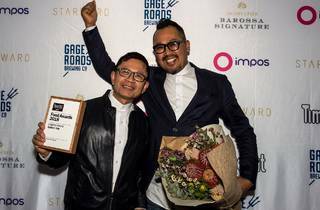 Spice I Am, Thai restaurant that tested the limits of Sydney’s chilli tolerance and who taught us that the cuisine stretches far beyond cashew nut chicken took home this year’s Legend Award in recognition of 14 years as a beloved inner city diner. 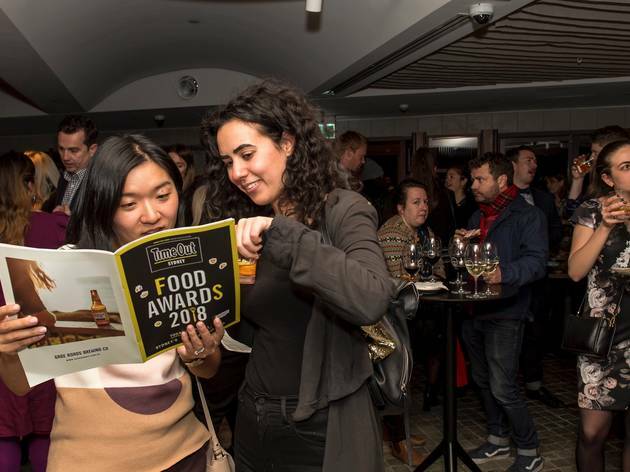 All the winners walked away with trophies and the glory that comes with a Time Out Food Award. 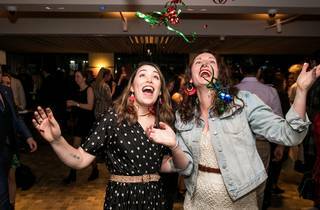 The celebrations would not have been possible without our beautiful venue, 12 Micron, and our sponsors Impos, Starward, Gage Road Brewing Co and Jacob’s Creek, the comedy stylings of Gen Frickers, and our favourite photo box, Fotobox. 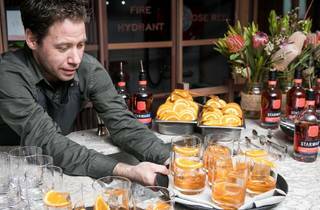 Can’t wait to start ticking these amazing venues off your hit list? 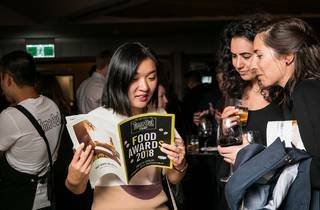 You can read about all our winners, as well as the worthy runners-up, by picking up a free copy of Time Out’s Food Awards spring issue.